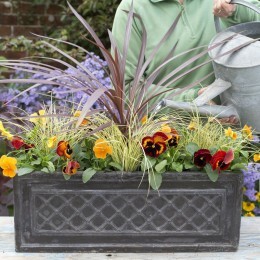 If you’ve just invested in some colourful new bedding plants for your outdoor space (be it a small garden, roof terrace or balcony), and want to keep them looking in tip top condition, it is crucial to water regularly and thoroughly. 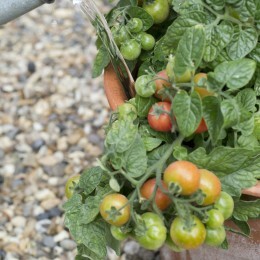 In the height of summer, bedding plants, especially those in pots will need to be watered every day. Having the right equipment to hand will make things much easier for you. 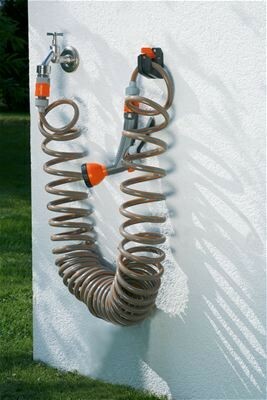 Part of the city gardening range, this 10m spiral hose automatically coils back up after use to its original shape. No more troublesome rolling and unrolling. 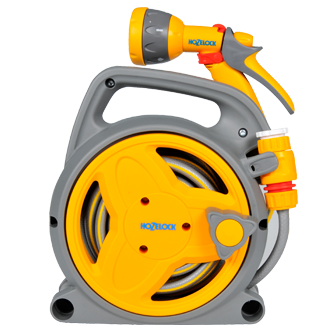 This portable hose reel with snap-fit connection can attach straight to your outdoor or inside tap or another hose, and the unit will extend as you walk and water. 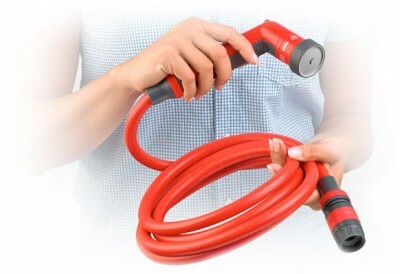 Yoyo is a practical, heavy-duty garden hose that extends to twice its length. Once the water drains away, it retracts back to its original size. 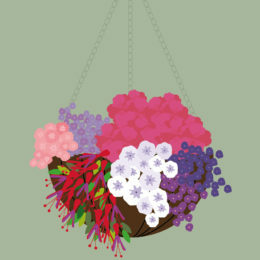 Lightweight and compact, it doesn’t tangle or bunch up. EASY TO ATTACH DIRECTLY ONTO TAP – NO ASSEMBLY REQUIRED! 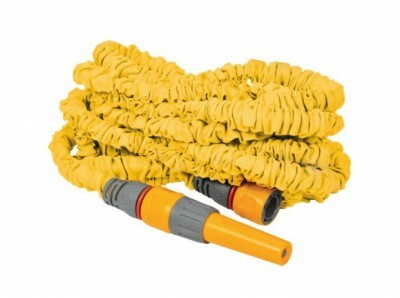 This spiral hose set recoils after use. Arduous winding and unwinding is no longer necessary. 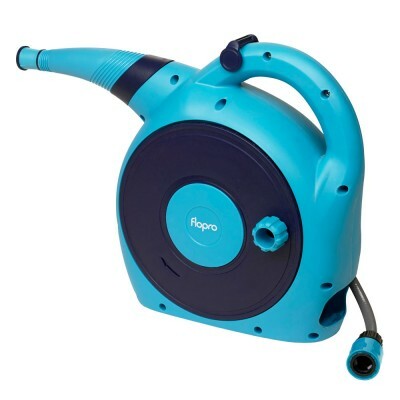 The integrated bracket makes storage space-saving and the hose is ready for use at any time. The Superhoze expands up to 3 times its original length and quickly shrinks back to its original size after use. Never kinks or tangles, ensuring continuous water flow. 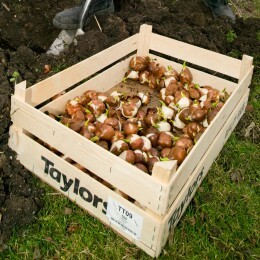 Manoeuvreing and watering around your garden is easy due to its lightweight construction. 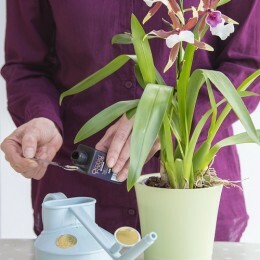 The Pico Reel allows you to conveniently water your small garden space with minimal fuss or effort. 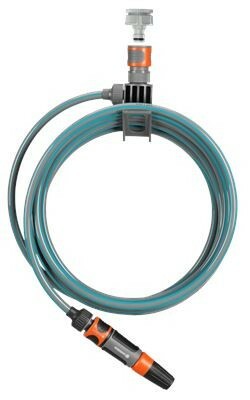 All these hoses are available in-store or online. 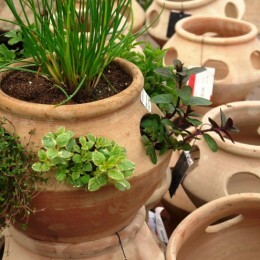 If you need further advice on which to choose, please call into store and speak to one of our experts in the garden shop.